Overseas Customers Be Free To Ask For Special Prices. We are engaged in manufacturing and supplying a quality range of Quartz Crucible. Crucibles are manufactured by using purified silica sand and are extensively used in research institutes, quality control labs and other similar places. Our range of Quartz Crucible are developed in our company by using high purity fused quartz as raw material and fabricating with advanced ceramic technology. It is mainly used for melting of platinum, gold, silver, dental ally, glass, glaze etc. For more details refer to the attached document. Specification : The specifications depend on the buyer. Packing : 50, 100 & 500 Kgs. Bags. We are the suppliers of Crucible Lids Basins Quartz Ware. We have been catering to the necessities of our patrons by offeringLab Quartz Silica Crucible. FOR ORDER OTHER THAN INDIA, PLS CONTACT US FOR SPECIAL PRICE..
- Our product range starts from 200 rs. and it will be vary as per product specification. A Quartz Crucible is a container that can withstand very high temperatures. Quartz Crucible is common lab equipment and widely used in metal, glass and pigment production as well as many modern laboratory processes. 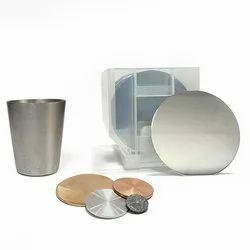 Being a reliable Quartz Crucibles Supplier, we ensure that superb packaging is provided to the consignment to ensure that it reaches the customers in a safe condition.